There are, on average, 152 fashion weeks that take place throughout the world every year according to a recent New York Times report. Showing at each of the fashion weeks are anywhere from twenty to one hundred designers. It doesn’t take complicated math to calculate that these statistics make the number of individual fashion shows around the world per year a whopping 15,200. To blow your mind even more, that number doesn’t include any fringe or independent shows that are produced but not associated with an organized “Fashion Week”. There is no doubt that fashion shows are big business. Customers spend their hard-earned money on clothing and accessories to the tune of $300 billion dollars a year, and designers are constantly competing for their share of the market. Quite simply, it is this contentious environment that breeds the fear of being overlooked that inherently demands for fashion shows to become bigger, better and more memorable with every passing season. But, it wasn’t always this way. Designer presentations have been going on in some form since the first designer had a garment to sell. In the beginning, it was a more proper yet casual affair. The designer would invite her clients to the atelier to view their newest creations. The presentation could consist of just a handful of looks or it could consist of a wardrobe full of options. The number of looks wouldn’t really matter. What would matter was that every garment had been specially designed with the specific clients in attendance in mind. Models would casually float around the atelier in the specially made frocks while the client admired the designer’s careful craftsmanship and romanticized about how the garment might fit into their life. If the client saw something that she fancied, she bought it. From inception, clothing was designed with an intimate knowledge of the client, their wants and needs. The system was straightforward and it worked. Those were the couture days. As ready to wear clothing became more popular in the 1920’s and the majority of people bought their frocks off the rack from retailers, more and more designers were born, all with the goal of fulfilling their own niche within the public’s ever expanding preferences and tastes. To do that the designer has to stand out from their competition and gain the most attention, so, naturally, collection presentations became extravagant productions with a touch of healthy narcissism. Today we call the presentation of a designer’s collection a Fashion “Show”, and that is exactly what it has become. Complete with actors slash models, directors, producers, publicists, marketing and sales people, stylists, set designers a sound track and of course – costumes. 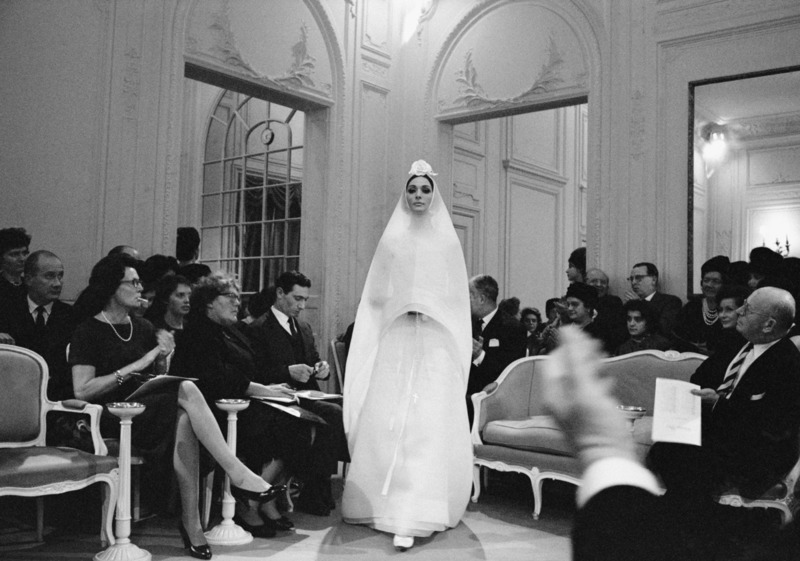 Fashion has borrowed from the theater and shares most everything in common. All but the box office, at least for now. Until very recently, the seats in the Tents were occupied by buyers from large retailers, magazine editors from the top fashion publications, private clients, celebrity stylists and other industry critics. The shows were given by the Trade for the Trade. At a single fashion show the designer could potentially gain several editorial features, sell the collection to major retailers, sell one-of-a-kind pieces directly to their private clients, and present their message in their own vision thereby strengthening their branding. And all of this in one twelve minute spectacle. Over the past few years the coveted and exclusive seats that were once reserved for industry mainstays have been occupied by reality stars, pop singers, child bloggers and instagram stars. It leaves me thinking that today’s fashion week is better suited for Broadway. In the theater, extravagance is a virtue. Designers could fill the front rows with tabloid celebrities and sell the rest of the seats to the public. After all, the clothing presented on the runway has been dramatized from their sellable state making them costumes anyway.